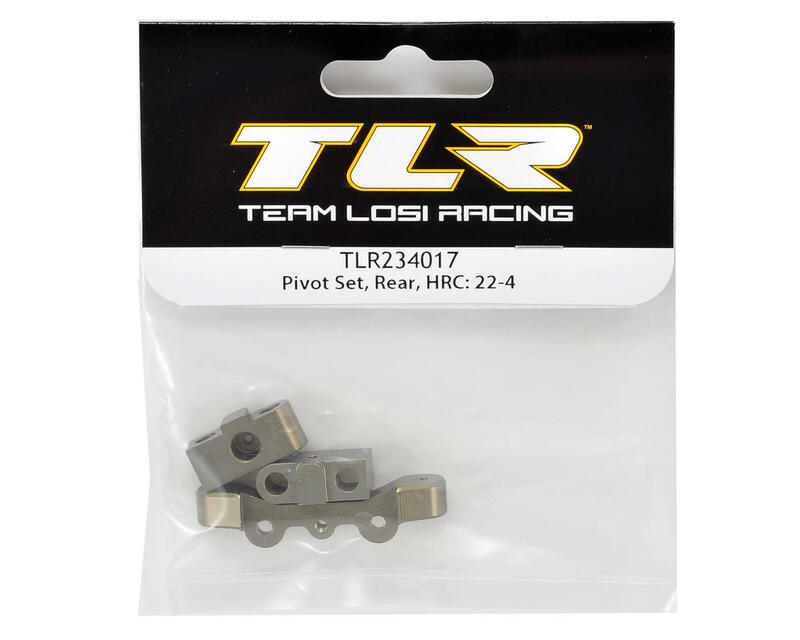 This is a replacement Team Losi Racing 22-4 Rear HRC Pivot Set. Package includes the "high roll center" 3° rear/rear block, and rear/front left and rear/front right blocks. Higher roll center helps to increase on power traction and is recommended in low traction conditions. High roll center is also recommended to avoid traction rolling at corner entry. 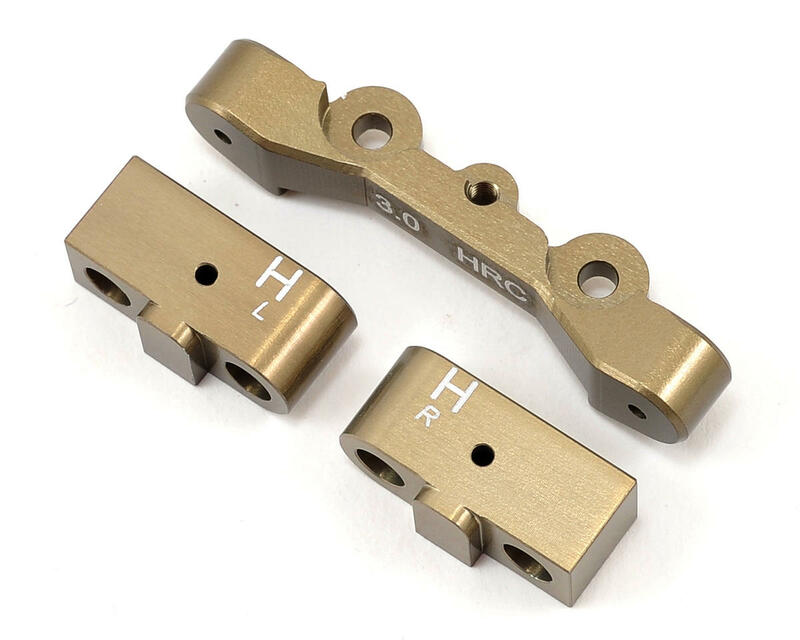 NOTE: Use with the TLR HRC Anti-Squat Tuning Set (TLR234019).